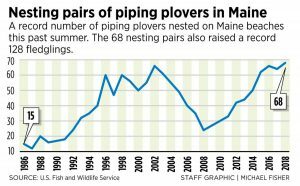 It was a banner year for piping plovers in Maine. In Ogunquit, town officials this year worked with Maine Audubon and state and federal wildlife officials to improve practices in everything from the type of fencing used around nesting areas to how the town maintains beaches and dunes, said Town Manager Patricia Finnigan. Spotters make sure the heavy equipment used to clean the beaches doesn’t encroach on the birds’ territory or hurt the birds when they leave their nests. Piping Plover chicks at Popham Beach. 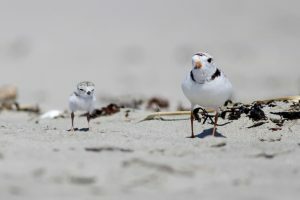 “The employees take pride in doing what we can to protect the dune and beach area so it’s a healthy habitat for piping plovers,” Finnigan said. Zitske said education efforts have helped make beachgoers aware of the importance of giving piping plovers plenty of space, but there are still times when people interfere with the birds. 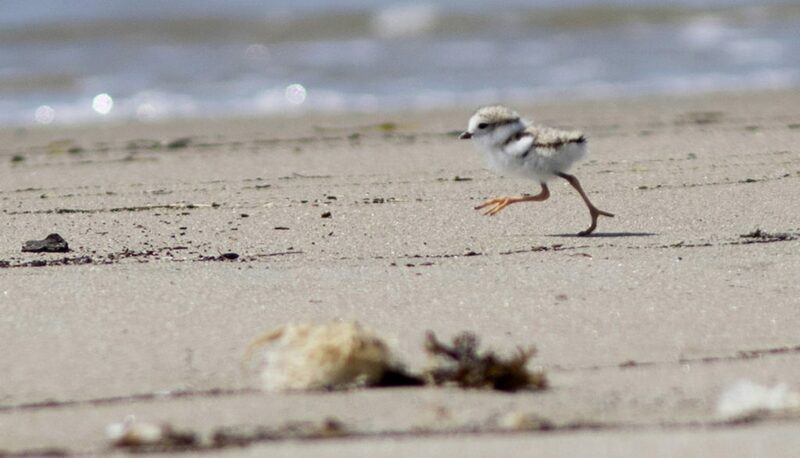 In June, two 4-day-old plover chicks were temporarily removed from Old Orchard Beach during an incident that Zitske says should serve as a reminder to never pick up piping plovers. Sen. Amy Volk of Scarborough and her husband, Derek, were in Old Orchard Beach to pick up their daughter from work on June 10 when a family of tourists spotted the state Legislature plates on her car and approached looking for help. The family was carrying two tiny birds they had taken away from children who were passing them around, Volk said. “They were loud little buggers. 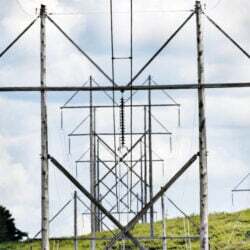 They were hopping up and down and peeping like crazy,” she said. Volk said her husband thought the chicks might be baby seagulls and had the family place them in a basket he had in the car, but she suspected they were plovers because they were so small and had been found on the beach. Knowing piping plovers are endangered, Volk said she immediately called police for help. Two Old Orchard Beach officers showed up minutes later. The officers began trying to track down the appropriate experts to take the chicks and brought the birds back to the police station for a short time. Zitske said the officers had recently been trained on how to deal with piping plovers and knew to contact game wardens and a wildlife biologist. She ended up rushing to Old Orchard and brought the piping plover chicks back to the beach. 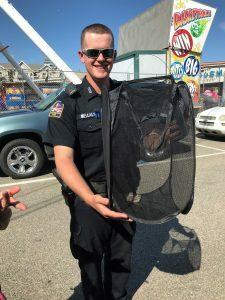 Old Orchard Beach summer officer Liam Mellaly holds two piping plover chicks that were rescued from children who were playing with them on the beach. Laura Minich Zitske, leader of the Maine Coastal Birds project for Maine Audubon, said they had to guess which brood the chicks were from, and guessed correctly. “We had to guess which brood they came from,” she said. Zitske guessed correctly and the chicks rejoined the parents and two other chicks. All four chicks fledged from the nest, she said. “It’s a really wonderful thing we can watch an endangered species while we’re on the beach, but it’s important to watch from a distance and not to approach them,” she said.